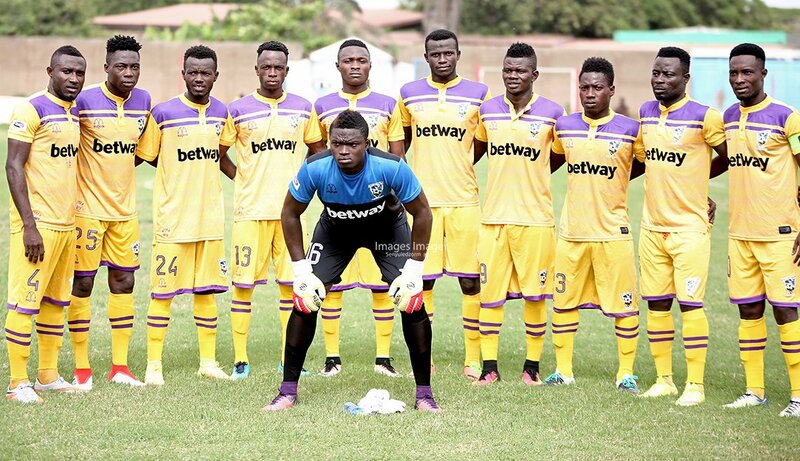 Medeama SC were terrifying in the midweek when they defied the odds to be 2-1 winners at the Sogakope park to halt the 46 home games unbeaten streak of WAFA SC in over three years. This remarkable feat has seen the Mauves and Yellow go three games on the trot without a defeat. They hope to extend the undefeated run to four when they host Inter Allies FC at the Cape Coast stadium on Saturday evening. The fixture has been scheduled for Cape Coast stadium instead of Tarkwa na Aboso park due to a live TV broadcast. The Tarkwa based side will be levelled on points with leaders Ashanti Gold SC if they are able to overcome the Eleven Is To One outfit on Saturday. Youngsters Richard Boadu and Gideon Acquah won’t be facing Inter Allies FC on the weekend. They are not in the match squad. Inter Allies FC have been playing it hot and cold this season. It is win, lose, win, lose, win and lose in the six matches they have honoured so far in the premiership this campaign. The Eleven Is To One lads head to Cape Coast seeking to prevent a second loss on the bounce. They were beaten 1-0 by Elmina Sharks FC last Wednesday at the Nduom Sports Complex. Kenichi Yatsuhashi and his men will be hoping to end this rollercoaster kind of form by picking at least a point from their visit to Medeama SC on Saturday evening. They welcome the return of centre back and captain Hashmin Musa from suspension for the visit to the Central region to face the Mauves and Yellow. He was sent off last weekend in their fixture against WAFA SC at home. Saeed Salifu is likely to remain the number one for Saturday’s fixture even though Kwame Baah is back after serving a match suspension. • Medeama SC have lost just once in their last seven matches in the premier league. • Inter Allies FC have recorded only three defeats from their last nine games in the premier league. • Medeama SC have lost only one of their last nine home fixtures in the premier league. • Inter Allies FC are winless in their last nineteen away fixtures in the premier league. • Medeama SC have lost only one of their four premiership meetings they have hosted Inter Allies FC. • Inter Allies FC have managed to record just one victory against Medeama SC in their last five league meetings. • Medeama SC have conceded only two goals in their last seven home matches in the premier league. • Inter Allies FC have kept just one clean sheet out of their last ten premier league games on the road.